Bitcoin and the ancient transfer system utilized throughout the Orient called Hawala are similar in some basic ways. They are both remittance systems that can potentially support anonymous transactions as well as cross-border activity on a global scale. The similarities are limited though, there are rather large differences. This article compares these two systems to show how Bitcoin represents much more than being a mere digital version of Hawala, as some have suggested. Hawala is an ancient alternative remittance system that has its origins in the classical Islamic law of the 8th century. In those days it was used for trade financing to avoid the dangers inherent in traveling with gold and other forms of payment on routes beset with bandits. The concepts of agency in common law and à val in French civil law were both heavily influenced by Hawala, and the word à val is even derived from the word Hawala. Simply put, Hawala operates as an informal value transfer system that allows for transactions to take place outside of or parallel to the regular banking sector. Its integrity rests entirely on the performance and honor of a huge network of money brokers (hawaladars) throughout the Middle East, South Asia, and North Africa. For example, suppose person A in Dubai (United Arab Emirates) needs to remit a payment to person B in India. Person A will first pay the sum that is to be transferred to person B to a hawaladar in Dubai in the country’s currency (Dirham or AED). The Dubai hawaladar provides a password for authentication purposes. Person A will then give the password to person B that will allow the release of the funds to the beneficiary through a hawaladar in India. To enable the transfer, the Dubai hawaladar instructs an Indian hawaladar to deliver an equivalent amount in Indian Rupees (INR) to person B. Rather than person A owing money to person B, the debt must now be settled between the two hawaladars, with the Dubai hawaladar paying the correct sum to the Indian hawaladar. The interesting features of this system are that it allows for cross-border transfers of funds without actually moving any money across borders as well as the fact that it is not based on any legal enforceability of claims. It operates entirely on the honor system. The hawaladar may be remunerated by charging a fee or through an exchange rate spread. After the remittance, the hawaladar in Dubai has a liability to the hawaladar in India, and the settlement of their positions is made by various means, either financial or by bartering goods and services. Their positions can also be transferred to other intermediaries, who can assume and consolidate the initial positions and settle at wholesale or multilateral levels. Essentially, the transmittance process works very similar to the wire transfer system through corresponding banking relationships that is used by international banks today. Transfers through the Society for Worldwide Interbank Financial Telecommunication (SWIFT) rely on intermediary banking relations often involving many different banks. When cross-border transactions occur, clearing and settling of payment balances are done through mutual counter-entries on the respective accounts of all the banks concerned. In a schematic way, this process uses the same principles as Hawala. Also, the concept of Western Union which utilizes a global network of agents is comparable to Hawala. However, there are two notable differences: Firstly, hawaladars do not necessarily follow proper Know-Your-Customer policies to prevent money laundering. Secondly, hawaladars may bring their bilateral business activities into the equation. In medieval times, the hawaladars were local merchants, landlords or innkeepers not only focused on money services. The settlement of the liability position of the hawaladar in Dubai vis-à-vis the hawaladar in India that was created by the initial transaction can be accomplished through the importation of goods, or a kind of reverse Hawala. A reverse Hawala transaction is often used for investment purposes or to cover travel, medical, or education expenses in a developing country. In nations such as India and China that have foreign exchange and capital controls in place, customers are likely to use Hawala for legitimate reasons such as to pay university tuition fees for a child studying abroad, especially if they desire to transfer their hard-earned but not officially declared funds in a discreet manner. During the process, customers are not aware if the transaction they initiate is being handled as a Hawala or reverse Hawala. A reverse Hawala transaction does not necessarily imply that the settlement transaction has to involve the same hawaladars. It could involve other hawaladars and be tied to different transactions. While the earlier example was very simple, hawaladar transactions can become intertwined in a very complex web. Furthermore, the settlement can also take place through import transactions. For instance, one hawaladar would settle his debt by financing exports to a country, where another hawaladar could be the importer or an intermediary. Hawaladars have a huge network and may send funds directly if they are needed by one of their trade partners in a specific country, or forward funds indirectly by asking their intermediaries to use another correspondent in a different country where funds are expected to be delivered. When compared to the traditional banking infrastructure, Hawala’s attractiveness lies in several of its primary features. First on that list is availability. Because billions of people around the world have no bank account at all, they are economically excluded from the global financial system. Other important features include cost effectiveness, efficiency, reliability, lack of bureaucracy, lack of a paper trail, and invisibility regarding tax laws. The Hawala system has been immensely beneficial to unbanked and fearful migrant workers sending money home to family members, as well as for businesses transferring trade payments in largely underdeveloped economies lacking efficient banking services. It should not be dismantled to suit out-of-jurisdiction governments. The notion that some elements may utilize Hawala for nefarious purposes does not outweigh the vast societal benefits, and it certainly does not outweigh such core principles as freedom of choice in banking and financial privacy. By using Hawala, the two individuals in the example interact only with the brokers, so the transaction itself is almost entirely “off-the-books.” While it can be difficult to trace transactions between individuals with Bitcoin, in a Hawala structure the individual transactions between members aren’t captured at all. This makes it infinitely more difficult to map Hawala activity to real world identities simply because there’s no one-to-one mapping between offline events and the recorded transactions. A true Hawala-type network requires longstanding trust-based relationships. Bitcoin gets around this limitation by encoding trust chains in the crypto coin itself. It’s a way of bootstrapping the sort of anonymous transaction networks that older and more deeply-rooted communities have always created, and does so among people who don’t have the shared ties to create trust networks on their own. This feature makes Bitcoin a much more transparent and secures system than Hawala. Despite the fact that some argue for a marriage between Bitcoin and Hawala, the two systems make an unlikely couple. 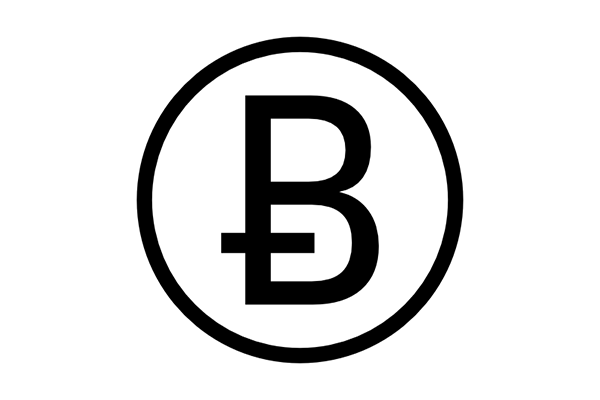 Block chain technology allows regulators to better track transactions than any other payment system due to the fact that customers of licensed Bitcoin businesses in developed economies such as the US and the EU are verified not only by the digital exchanges operating in these countries but also by the banks Bitcoin-owners use for deposits and withdrawals in fiat money. Ensuring that proper Know-Your-Customer policies are followed does represent a substantial challenge for financial market authorities and compliance officers at financial institutions. However, a narrow legalistic focus misses the important technological and socioeconomic aspects, and it must be reiterated that unlike Hawala, Bitcoin transactions are recorded on the block chain ledger for purposes of traceability and protection from malicious intent. Shortly after its unexpected growth in popularity, Bitcoin became the object of intense scrutiny by many financial compliance officers. For the most part, their concerns stemmed from Bitcoin’s association with the infamous Silk Road criminal site. Bitcoin is also associated with the collapse of one of the largest Bitcoin exchanges in the world, Japan-based Mt. Gox, indicating that a lack of consumer and investor protection does need to be addressed. The Hawala system has also inherited a reputation of duplicity with compliance authorities. This is mainly due to its association with dishonest behaviors such as money laundering and funding terrorist cells. It is worthwhile to note that paper money and regular banking channels utilizing the traditional monetary system have long been used for money laundering, and even such reputable global banks as HSBC have been fined in recent history for involvement in such activities. Even the noblest of financial institutions that pride themselves on their reputations, such as Credit Swiss and UBS in Switzerland, have a less-than-impeccable track record from assisting high-net worth individuals to circumvent taxes on a scandalous scale. It must be stressed that it is not digital coins or banknotes or junk bonds that commit crime and misallocate funds – it is people who use those financial instruments for such purposes. Enforcement activities to prevent money laundering, whether through Hawala or Bitcoin, must focus on the irresponsible actions of people abusing those systems, rather than the systems themselves. The legality of Bitcoins in India has always been the subject of heated debate. However, in order to earn money, many people and companies in India were dealing in Bitcoins with total disregard for cyber requirements and were in active violation of the Internet intermediary liability rules framed under the Information Technology Act. Realizing the gravity of the situation, the Reserve Bank of India (RBI) cautioned users of virtual currencies against various risks, including substantial legal risks when used for Hawala banking. Bitcoin users in India are vulnerable to many adverse legal actions, and even Indian Bitcoin websites themselves can be prosecuted. The Income Tax Overseas Units (ITOUs) of India have been established in foreign countries and charged with curbing the flow of so-called black money. Despite such negative attention, the legitimate advantages of Bitcoin technology are profound. Bitcoin can make transactions faster and more economical, particularly for overseas transactions. Other functions of Bitcoin technology include the ability of its block chain protocol to verify copyrights on Intellectual Property (IP). Its Multi-sig functionality is able to provide greater security for transactions through an escrow service. These and many other advantages of adopting Bitcoin more than outweigh what are often exaggerated risks. Unlike Hawala, Bitcoin is more transparent than most people realize, effectively eliminating concerns about it being used in illegal activities. Contrary to popular belief, Bitcoin transactions are not entirely anonymous. In fact, the block chain technologies allow regulators to track transactions more easily and with greater accuracy than they could with paper money. If Bitcoin adopts clean-money strategies as stipulated in the United States, Germany, Switzerland, and other countries, combined with Know-Your-Customer and Anti-Money Laundering policies, Bitcoin would easily be a safer and more efficient form of transaction than any system using paper money. That’s why, in the final analysis, comparing Bitcoin to Hawala is inappropriate. In fact, with developed markets such as those in the US and the EU, moving to a system where everyone using Bitcoin for cross-border transfers through licensed third-party providers is properly verified, Bitcoin technology provides greater security by helping markets make a smooth transition to the new system. Bitcoin is acceptable from a risk management point of view because it is even more transparent than paper money or the bilateral counter entries used in Hawala transactions. Through the transparency provided by Bitcoin’s block chain ledger, Bitcoin is able to provide legitimate users with all the benefits that Hawala is incapable of providing. Furthermore, it does so without any of the risks. While both transfer systems are capable of supporting anonymous transactions, Bitcoin is a far more secure and transparent system than Hawala. The evolving Bitcoin ecosystem allows for additional safety measures to be adopted and enhances them in ways Hawala simply cannot accomplish. Bernhard Kaufmann is the managing director of a Swiss-based payments technology company. He has contributed to the transatlantic crypto industry through his many years of expertise in ecommerce, payments processing, cross-border banking, regulatory compliance, copyright law, tri-medial publishing, and by developing pioneering use cases for financial service companies based on Bitcoin technology. Bernhard’s primary objective is empowering people by forging digital connections across developed and emerging markets. In the early days of the Internet, he was recognized as one of the first investors to take an active role in cross-media communication and multimedia production. Bernhard is an analytical and creative thinker with an influential voice in the community by hosting some of the most innovative business engineers and web architects at his company’s regular research boot camps in Switzerland. The firm is a financial service and software company powering state of the art platforms such as Payment21® and Benscha™ that connect users globally and provide alternative payment methods to consumers, businesses and financial institutions.